When Alexa and I hosted Fall Into Fantasy in November, we decided to finally take Daughter of the Forest off our shelves. We'd both been gifted a copy several years before, but we'd never gotten around to reading it. Almost as soon as we started, we couldn't believe we'd waited so long to pick it up. As I said in my review, I loved Fall Into Fantasy for many reasons... but the biggest one was discovering this author. 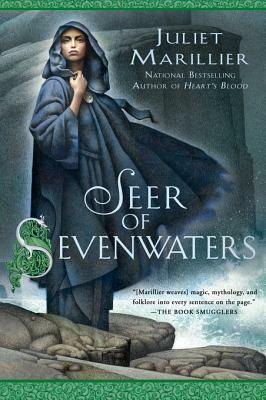 I immediately dove into a Sevenwaters series binge, so it seemed only fitting to write a series review. I'm going to tell you six reasons you ought to read this series by sharing one reason per book. Don't worry though - no spoilers! Originally, this series was written as a trilogy. So, you can actually stop after the third book if you want. While I think the first two books are strongest overall, I think it's worth reading all six so you can spend more time in this world and with these characters. Each book has a different heroine (and some jump a bit forward in time), but they're all connected to one another by blood and by the place they call home. The first two are my favorites, and the ones I'd be most likely to re-read, but you've still got to see this series all the way through to the end. Then you'll really appreciate Marillier's vision for this world! I think the thing that immediately stood out to me when I was reading Daughter of the Forest was Marillier's gorgeous writing. She captures the harsh realities of life while adding this magic and mystery to it all. For all of the dark moments in the series, there's also something very hopeful and powerful about what you're reading. 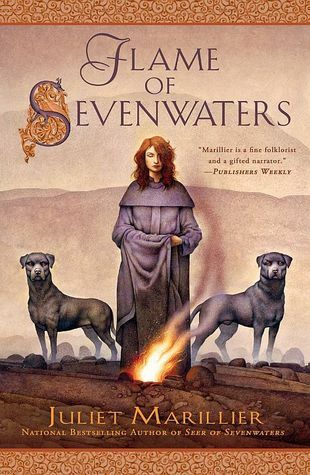 I felt so emotional reading these books, and that all goes back to Marillier's writing. It's descriptive, lovely, and evocative. You could lose yourself in these words! For the most part, the pace is on the slower side... but it just gives you a chance to truly appreciate Marillier's talent. These books are meant to be savored, to be highlighted and underlined, to be cherished and to be read again and again. There is a romance in every single book in this series, but I keep debating whether my favorite is the romance in the first or the second. Since the second has a bit more passion, I decided it was most fitting to talk about the romance in relation to the second book. But don't be fooled, you'll find love stories woven throughout this series. Each romance is unique and memorable. I definitely have my favorites (and one or two did fall a little flat for me), but I love how much emotion Marillier infuses into these stories. Since I've only recently grown to love fantasy, I was so glad that relationships were a significant part of each book. It's a huge reason why I became invested in this series! I loved the tension between the different heroines and the men they love. The magic in Sevenwaters is a huge part of everything that happens in these books. It drives the conflict, spurs the characters to action, and represents a darkness that threatens the peace of this world. While the third book was one of my least favorites, I did love seeing the way the magical elements developed in it. You get a better sense of everything going on behind the scenes in this world, and it's not necessarily a pretty picture. This isn't a place where magic brings out the best in people! But I did love that the magic gave the entire series a fairy tale quality - raising the stakes and making it an epic showdown in the end. For someone who hasn't always loved fantasy, I was totally intrigued by the magic in these books! I've already mentioned a bit about the characters, but I cannot praise them enough. The heroines are all unique, but each possesses an inner strength that I found so admirable. Family is so important in these books, and I loved that the characters were willing to fight and die for the people they loved. But even the secondary characters were memorable! This world is huge, and you get to meet so many of the incredible people populating it. From the villains to the friends, Marillier puts so much thought into them all. My heart ached in their sorrow, rejoiced in their happiness, celebrated with them in success, and cheered them on in their trials. I cared about the characters, and that's one of the biggest reasons I would recommend this series so passionately! Oh, this world! The Sevenwater series is historical fantasy - set during a real time period (9th century) and in a real place (Ireland), but filled with magic. There's this incredible combination of fact with fantasy, and it worked so perfectly for me. I loved that it felt real but otherworldly at the same time. I liked that each book introduces you to new parts of the world. Some places seem so familiar to you by the time you finish the series, and others feel like you've barely scratched the surface of all there is to see and know. Sevenwaters, Harrowfield, Inis Eala, the Otherworld... I loved the richness and scope of this world. While the characters are the heart of this series, the setting is like a character in many respects. It drives the action - precipitating a battle between good and evil. There's a conflict between light and darkness in this series, and I thought this aspect was so compelling. I loved watching it unfold on each page, and I was never sure how it was going to end. Would good triumph over evil? Would this family that I'd come to love be able to save the day? There is an overarching conflict in the first three books that is resolved by the end of the third, but there's a new conflict introduced in the fourth book that isn't resolved until the very end. And honestly, every minute of this journey was worth it to get to that last page. I was sad to say goodbye to this unforgettable world, but I was content and at peace. It was an epic conclusion - so fitting for a series that's so unlike anything I've ever read before (in the very best way). Marillier has done something special with this series. I fell in love before I even reached the end of the first book, and I spent the next few weeks in a Sevenwaters haze. It was hard to finish the last book and realize that I didn't have any more waiting for me! While I highly recommend reading the entire series, I will admit that Daughter of the Forest, Son of the Shadows and Heir to Sevenwaters were my favorites. I would probably only re-read those three in the future... but I could pick them up again right this second. I had a few issues (mostly minor) with the other books, but nothing that lessened my love for this series overall. My few complaints included things like difficultly connecting to the main character, a somewhat predictable plot, frustrations with the pace or an unsatisfying romantic relationship. But in each case, there were other things about those three books that kept my attention and made me want to continue. 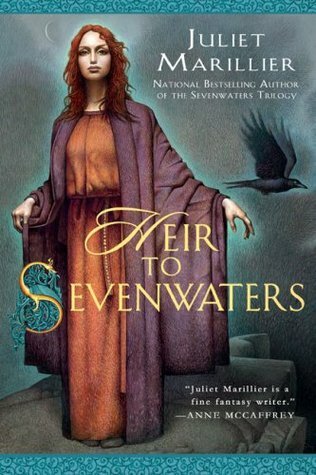 I have read the first two Sevenwaters books and really need to get around to finishing out the series. Marillier has fast become one of my favorite authors... I love her heroines, the setting, the supernatural in her stories. 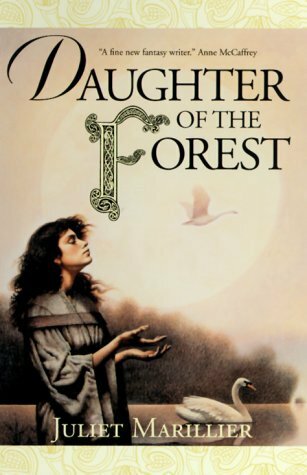 And like you said, Daughter of the Forest is a book that I know I will read again and again and cherish, it was such a special story and Sorcha is such a wonderful character. Marillier is fantaaaastic!! Have you read her YA trilogy, Shadowfell? Neryn reminds me so much of Sorcha. I need to read this author. I have heard so much, but never read any books by her. I think I've mentioned before that I did read the original Sevenwaters trilogy back in high school. I'm not sure when Marillier decided to expand this into a longer series, but I was totally unaware of that until recently. All the relatively recent enthusiasm surrounding this series makes me desperate for a re-read. And you've written so eloquently here about the many aspects I remember enjoying while reading the trilogy. 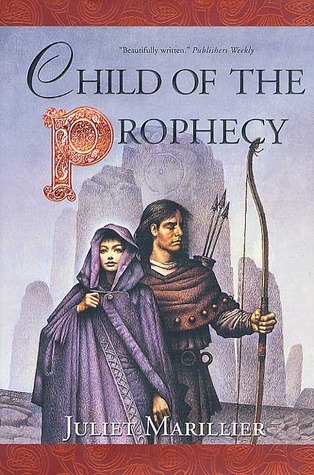 But I'm not sure if I want to continue past Child of the Prophecy (which I remember as being slightly disappointing after the first two). I always get nervous when authors extend series past their original plans, because then I'm left wondering if the continuations are really all that good. I guess I'll find out when I start reading them again! 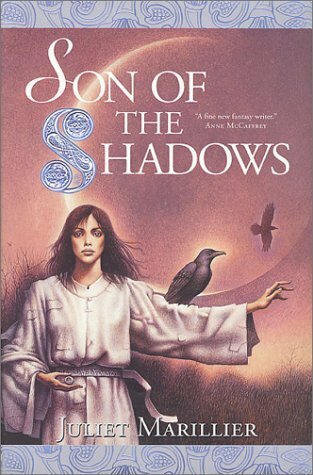 Okay, SO I have had this series on my radar as a must-read ever since you first posted about it, but for some reason I did not know it takes place in 9th century Ireland?!?! (I don’t think I ever read a synopsis and just trusted your word on it haha.) That setting sounds AMAZING, as does everything else you’ve highlighted here. It kind of sounds like everything I wish Outlander was... LOL. You know that I'm about to binge read the series (and will be starting Son of the Shadows as soon as I finish typing out this comment), and so, just seeing your praise for it as a whole (again) is a wonderful thing. I love the elements you've chosen to highlight and can't wait to experience the magic of the entire Sevenwaters series for myself!